Web proxies allow you to browse the web in private, but many are unreliable and difficult to use. CyberGhost VPN is one of the better options as it is easy to use and is one of the more reliable proxies. If you’re concerned about websites tracking you online, check this out. The software installs quickly, and the dashboard provides options. You can use the app right away, but it’s good to know exactly what the app is doing. On your mobile device you can go to the protection settings and see options like virus protection, block tracking, encryption and so on. The free proxy app provides anonymity while you’re browsing. Without VPN, websites are able to track your IP address and monitor what sites you’ve been visiting and other information. By using this free proxy, you’ll be able to redirect your connection so websites won’t know which sites you go through. In fact even your Internet service provider won’t know where you go online. One of the problems with most web proxies is they’re slow and unreliable. With the CyberGhost VPN you won’t notice any significant slowdowns. 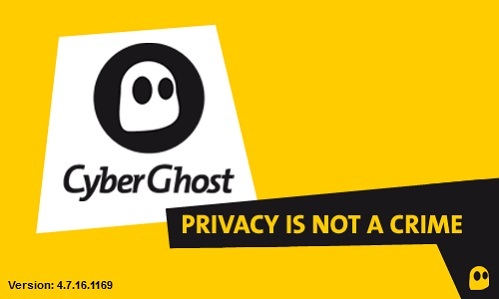 Yes it’s true the CyberGhost company keeps a log, but it doesn’t keep any information on your personal data. If you’re into the technical stuff, CyberGhost uses the most effective protocols like OpenVPN, L2TP, PPTP and more. The app also uses 256 bit encryption for your protection so with all these features, you’re virtually impossible to track. There are paid versions of CyberGhost VPN, but the free proxy is more than enough for users browsing the web.